Mary and Matthew 壁纸. A 壁纸 I made celebrating the characters of Mary and Matthew. First time on Photoshop in a long time. Enjoy :). 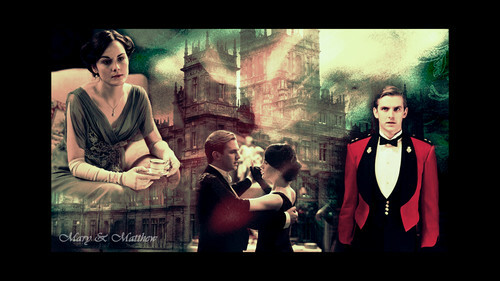 HD Wallpaper and background images in the Downton Abbey club tagged: downton abbey mary crawley matthew wallpaper fan season 1 2.